Thomas Mudge, one of the watchmakers following Harrison, designed this instrument. 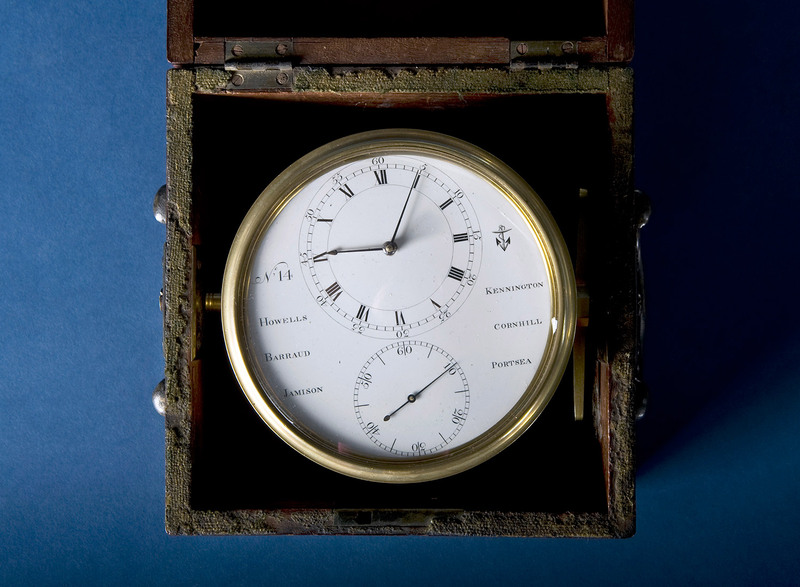 Like Harrison's timepieces, Mudge’s were extremely inventive and complex. And like Harrison, he won funds from the Board of Longitude but had to struggle to receive them. His son, Thomas Mudge Jr., engaged craftsmen to make 26 copies of his father’s work for public sale. This one is number 14, made by Howells, Barraud, and Jamison, 1802. 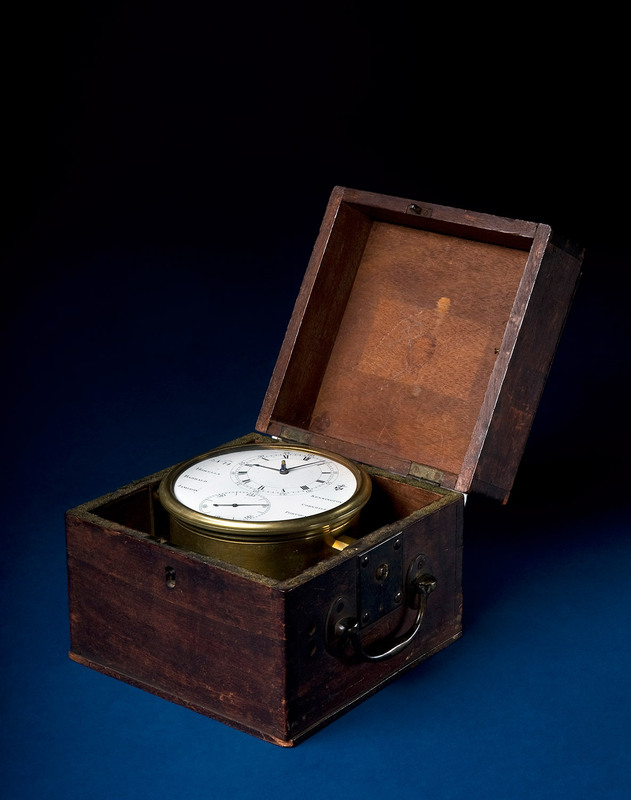 Box chronometer, after Thomas Mudge, No. 14 made by Howells, Barraud, and Jamison, 1802.